When the time comes to call for garage door services for your Florida home, you may have a lot of questions. Most overhead door systems can last for more than a decade with minimal maintenance, making it a strange occurrence when you are faced with a broken garage door. Those looking for garage door repairs in Sebastian, Stuart, and the surrounding areas can benefit from making a call to Guaranteed Garage Repair. Our team has more than 20 years of experience in the industry delivering top-quality results to homes all along the Atlantic Coast. We understand the unique demands that this area can place on your roll-up door system, and will provide quality repairs or replacements for every component in need. One piece that undergoes a lot of wear and tear of the years is your garage door spring. 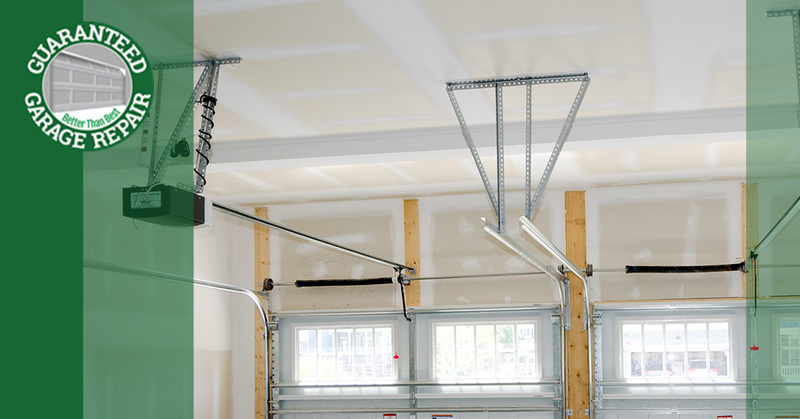 Before considering your own garage door spring replacement, we recommend catching up on this conclusionary blog post highlighting a few more frequently asked questions. If you have questions afterward, be sure to contact our garage door company for guaranteed results! Can I Repair My Garage Door Cables Instead of Replace Them? The intense use of your overhead door’s cables necessitate replacements when needed to ensure safety. Cracks or fraying, for example, can compromise the entire system, leaving you at risk for dangers resulting from a failure. Even when garage door spring repairs are possible, the affordability of replacements often make a new spring more feasible. What Components Should I Inspect During Spring Replacement Services? The bottom brackets on your overhead door system serve as the anchor points for your cables, and will be integral to the efficiency and safety of future opening operations. Brackets that are warped, torn, or rusted should be replaced to prevent future problems. Many homeowners are happy to pay for the cost of a new bracket with the knowledge that their cable system will remain securely in place. Are DIY Garage Door Spring Replacements Safe? The process of replacing your garage door spring is simpler than many people realize, and crafty DIYers can definitely find success in trying the process themselves. However, the risk of injury make it highly advisable to seek out professional garage door repairs. Your garage door springs are always under some degree of tension, and this tension stores an impressive amount of energy. Homeowners trying this garage door service on their own will need to carefully remove the springs and associated components in a steady and precise manner to minimize the dangers. Instead of risking damage to yourself or your Florida home, we can recommend reaching out to Guaranteed Garage Repair for expert assistance. We’re ready to provide affordable results and long-term peace of mind for your place! One of the top reasons why Floridians put off garage door spring replacement is because they believe it will cost a hefty amount. In reality, the cost of your replacements will be minimal (less than $100 a piece in most situations), and the overall cost of labor will be low, as our team can provide fast and precise results. Homeowners with extension springs can expect their replacement services to cost less than $200 with travel, labor, and parts. Keep in mind that every home is different, making it important to reach out to a local garage door company for assistance. Can I Prolong the Lifespan of My Garage Door Springs? While there is little you can do to enhance the longevity of your springs, keep in mind that a properly balanced door will do much to reduce the strain put on individual components within your overhead door system. Homes with two springs can benefit greatly from this garage door service, as balance can help to spread out the wear and tear until both components are equally worn down. When it comes to garage door springs, it’s recommended to seek out the help of a professional for to ensure safe, cost-effective results. Homeowners in need of garage door repairs in Sebastian, Stuart, and beyond can benefit from the comprehensive quality offered by Guaranteed Garage Repair. Our team strives to provide Top Rated Local® garage door services so good, that we guarantee your satisfaction. Contact us today to learn more about our approach and quality services!